This program is an example setting document properties. See the set_properties() workbook method for more details. 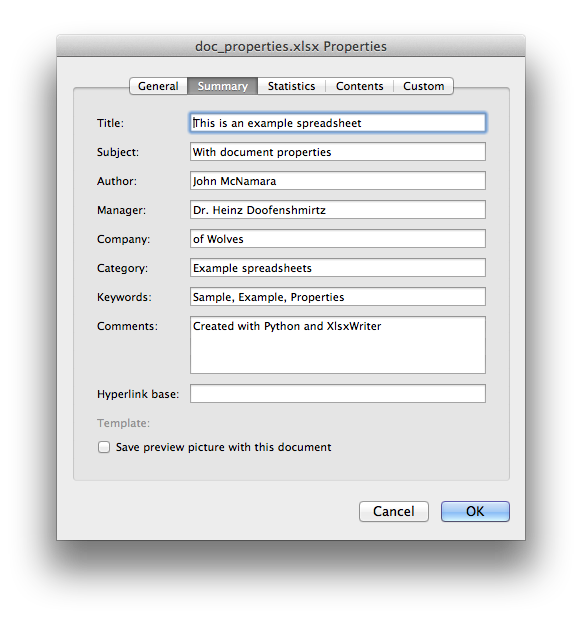 # An example of adding document properties to a XlsxWriter file.